Matt’s qualifications include a Sports Science Degree – graduated 1991, Canberra University and Bachelor of Physiotherapy – graduated 1996, Sydney University. 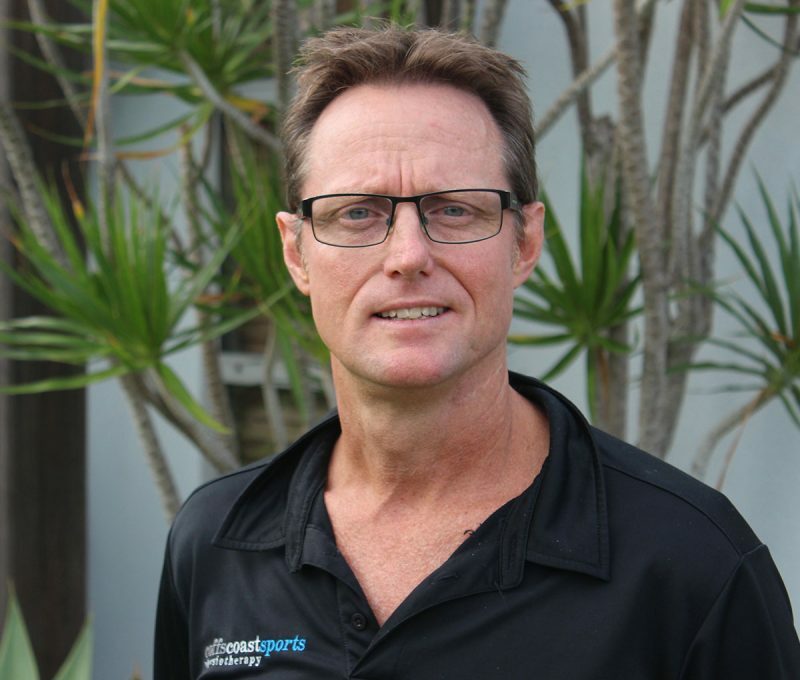 With over 20 years practising Physiotherapy Matt’s working experiences have been in various practices in Coffs Harbour and 6 years in two specialized Sports practices – one in Sydney’s Upper North Shore and the other in Central Wellington, New Zealand. During these 6 years he worked closely with two experienced Sports Physicians, Dr David McGilvray (Teaching Senior Sports Physician) in Hornsby and Dr Steve Targett (Medical Director for the New Zealand Rugby Union) in Wellington. Predominantly over these years the clientèle was Sports, Orthopaedic rehabilitation, Spinal related injuries and rehabilitation of general musculo-skeletal injuries. Matt grew up in Coffs Harbour and was involved in competitive swimming, surf life saving, surf boat rowing, Tae Kwon Do and BMX racing. He also enjoyed surfing, soccer, basketball and gym strengthening.